Most businesses we know have a debtor management issue. The majority of these businesses have a person in charge of chasing outstanding and overdue invoices from customers. This is typically an incredibly manual process. At PBT, we were in the same boat and used to do process manually as well. Recent studies have indicated that Australia is one of the worst countries in the world for late paying debtors, with an average of over 56 days for payment on invoices. Cashflow is the main reason for failing business in the SME sector, and it’s a problem we can make a significant improvement on in 30 minutes. Utilising Cash Manager from Plus Software, it is designed to automate your Debtor collection follow up, and is a plug and play solution for Sybiz Vision, Sage Pastel Evolution and Ostendo. Once installed, you can quickly see the status of your debtors and can configure your overdue messages, starting from friendly reminders of invoices that are only just overdue, to those that are significantly overdue and require action to be taken. There are four different messages and different overdue dates you can configure. You are then ready to send out your reminders notices. Cash Manager will intelligently read all the invoice information from your business system, and send emails to each customer that has an overdue invoice. It will select the appropriate message for the situation, and collate all the information about each outstanding invoice into one email for the client, with reference numbers, amounts overdue, number of days overdue and more. Once configured, it takes you 2 minutes per week to action your debt collection follow up, and this is only one of the many features within Cash Manager, which also includes cashflow forecasting and more. Cash Manager has no upfront cost for the software, simply a small subscription per month which is quickly recovered many times over in improved cashflow. 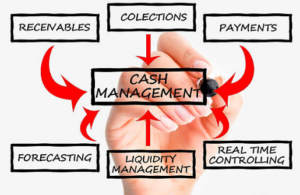 Please contact us if you feel Cash Management could assist you today.